Black holes are interesting objects, because we know they exist but we don’t know what they are. That isn’t quite true. We know that they are formed from the gravitational collapse of matter, either as supermassive black holes in the centers of galaxies, or as stellar mass black holes from the collapse of a star. We know that they power quasars and radio galaxies, that they can form accretion disks of matter around their equators, and that they can produce powerful jets of matter when they are active. But buried within our understanding of black holes is a fundamental contradiction that we have yet to resolve. In our everyday lives we typically view gravity as a force that acts upon solid masses. This follows the Newtonian model of physics, where objects are solid, and move through space by forces. But by the 1900s we came to understand that Newton’s physics is really an approximation to much more complex phenomena. This led to the development of two physical models, general relativity and quantum mechanics. In general relativity, gravity is not a force. Instead it is an effect of the curvature of space and time. Masses warp space, and that that warping causes objects to deviate from their linear motion, giving the effect of gravity. In general relativity Newton’s assumption of solid masses moving in a continuum of space and time still holds, but space and time are malleable by the presence of mass. While it seems odd to our everyday experience, general relativity has been validated by numerous experiments, and is an extremely accurate description of large objects like planets and stars. In quantum mechanics, objects are not solid, but are instead made of quanta interacting which each other. The state of these quanta can change as they are measured in different ways. This change occurs in discrete ways, not as a gradual shift through the continuum of space and time. Quantum mechanics also seems counter intuitive, but it has been validated by numerous experiments, and is an extremely accurate description of small objects such as atoms. While both general relativity and quantum mechanics are accurate descriptions of physical phenomena, their basic assumptions are contradictory. General relativity is a classical (Newton-like) model, while quantum mechanics is a quantum (discrete) model. Normally this isn’t a problem, but in the case of black holes it is. 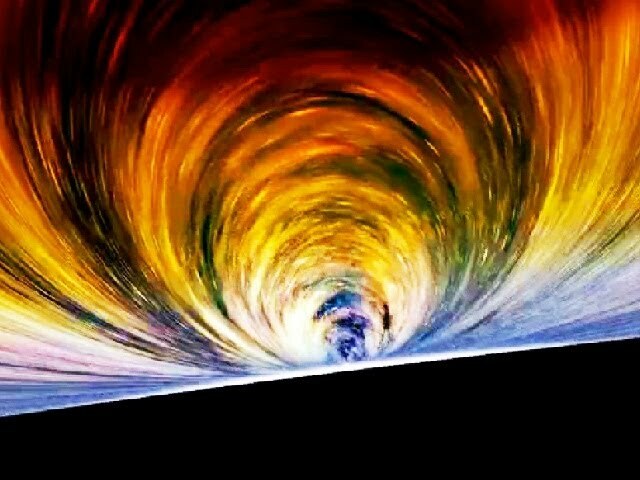 One of the predictions of general relativity is that the matter within a black hole will collapse into an infinitely dense point of zero volume. Once inside a black hole there is nothing strong enough to counter gravity. But this assumes that on small scales we can still treat matter as existing in a continuum of space and time. Quantum mechanics says otherwise. There should be a quantum aspect to the singularity, likely even preventing the singularity from existing. There has been a great deal of effort to develop a way to unify these two contradictory models. String theory and loop quantum gravity are two popular approaches. So far we’ve only had partial success. 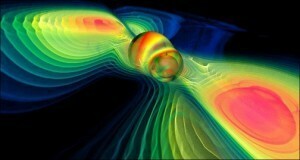 So for now we know black holes exist, and we can observe their effects in the universe. What we don’t know is what happens if you go down the rabbit hole.